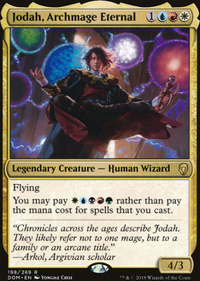 What happens if Jodah, Archmage Eternal is destroyed while using his ability. Draw cards equal to the number of cards in your library, then put a card from your hand on top of your library. You have no maximum hand size until your next turn. So, just to be clear, with Enter the Infinite : you don't lose for running out of cards because one goes back as your library, but I thought losing doesn't go on the stack, so why would you wait for the spell to resolve by putting back the card? I tried this deck out, and the game took 3 hours. The only reason it didn't go on until we got kicked out of where we were playing was because I managed to mill out the other two players with someone else's Enter the Infinite . Then i'd advise you not to look at my list for inspiration since it's by far my most competitive deck. 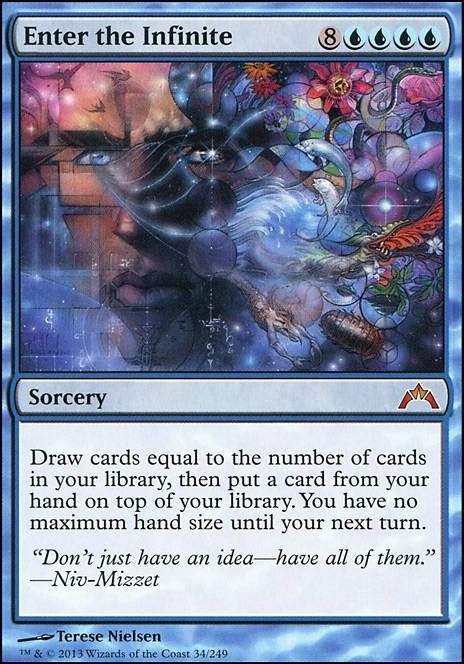 A turn two win would be achieved through the Show and Tell into Omniscience into Enter the Infinite combo with an island and a Sol Ring in your opening hand. Start with Snapcaster Mage vs Mission Briefing . 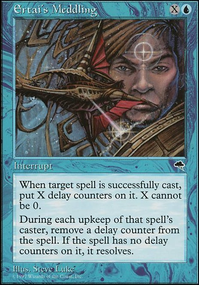 Snapcaster Mage forces a target to be picked for flashback, so that means your opponent can respond. The big responses would be Deathrite Shaman , Faerie Macabre , and Noxious Revival . Mission Briefing Targets all upon resolution, which means your opponent can’t respond to get rid of your card. Mission Briefing also allows alternate costs to be cast on cards such as Mindbreak Trap , Noxious Revival , Cyclonic Rift , etc. Snapcaster Mage does not allow that, because flashback is an alternate cost. Mission Briefing also does not suffer from Torpor Orb effects from stax decks. The downside to Mission Briefing is that it is one blue mana more, and not a creature to block. The blue mana is a valid argument, the creature aspect is less so. If you are playing in a creature meta, yeah it is relevant. 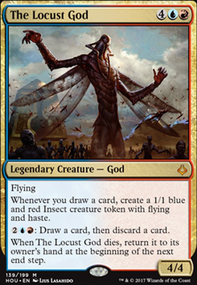 However, if you are playing in a Food Chain meta, or a Flash Protean Hulk meta, or a Doomsday meta, or a reanimator meta, or a storm meta, or a The Gitrog Monster meta, it does not matter. 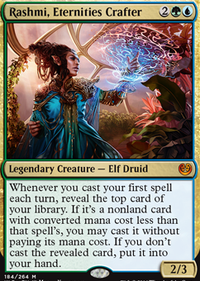 The two commanders I can think of that you can blowout with a Snapcaster Mage body are Najeela, the Blade-Blossom , and Tymna the Weaver . They aren’t popular in my meta, all the other decks are, so I will suffer paying that additional blue mana. Rhystic Study has always been lackluster. People are always willing to pay the cost, and all it ever does is put a target on my head. “Are you going to pay” gets old, and it forces me to keep track and announce my trigger, which gets old. You don’t want to be a target, you want to stay under the radar. I will gladly play Search for Azcanta Flip, or Verity Circle , or even Compost . It allows me to get card advantage without annoying the table. The Nexus of Fate is in response to my meta eagerly playing Praetor's Grasp . They will gladly target me, exile Isochron Scepter or Dramatic Reversal and then either use it, or never use it. Either way, I’m in a bind, because I now can’t generate infinite mana for myself to win. This allows at least some form of out. In any case, it is still in test phase. Enter the Infinite is still the way I want to go, and it works. 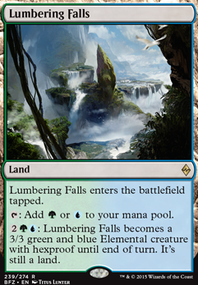 Like you said, you can loop it with Mystical Tutor Seasons Past and Nexus of Fate and fourteen mana. When I get grasped, I haven’t had a chance to try to win this way. So, I don’t know if this is the way to go yet, but it something I have been looking into. A hot take would be cutting Chrome Mox . I have found that I don’t like exiling a spell for the artifact. Have been trying Exploration in place of it to see if it can work. Cast Omniscience and Enter the Infinite for a nice two card combo for only 5 mana if you your commander. This may work best with adding an infinite combo to allow you to win right when you draw your entire library. Or you can have Laboratory Maniac or the new Jace from WAR and a card to draw cards to instantly win. Since I playtested your Deck and find it personally one of the most wicked EDH decks I have ever played, I came with some tweaks along which have proven themself very efficient in my version of your Deck Idea. Enter the Infinite together with Nexus of Fate gives you an eternal "your turn only" loop which is a very efficient way for make the stage free to all the Eldrazi in the queue. No Mercy is a pretty good Attack-stopper in early to near mid game, since in a true multiplayer match, in which the other players realize how dangerous you are, they will not attack you since they're too afraid of being naked for the attacks of the other players. Blue Sun's Zenith is despite the higher mana costs much more better than Mind Spring . So you have the choice to use it for yourself (and normally you don't do that in early game, just in mid or late or shortly: in situations where enough mana is ready to be used) or let an enemy draw himself to death. Platinum Emperion speaks for himself. Colorless, so why not using it? 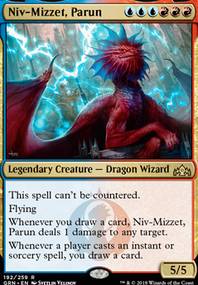 (For sure, it does not fit into the "Eldrazi" Flavor, but Ravnicas Supreme Verdict, or an old school Defense of the Hearth does not either. So why not making excuses and add the Emperion? The plus in effectiveness can not be denied. It That Betrays is such much better than Artisan of Kozilek , since it a) synergizes with it's own annihilator effect and has synergy potentials with "All is Dust" and b) has potential for future board wipes in "WAR" like "Single Combat" So why getting back just one creature from your grave, when there is the potential to get x>1 permanents from another player (every turn you attack) Needless to say, it's ability supports other annihilator effects of the Titans or the Pathrazer.